UAE's newest developer Arada has teamed up with American University of Sharjah (AUS), one of the Gulf’s leading educational institutions, to design a pavilion at its record-breaking mega project in Sharjah - Aljada. The masterplan for Aljada is carefully designed with walkability and wide green spaces in mind, allowing residents, workers and visitors the ability to live, work, play and be entertained within a fully integrated and sustainable community, said the Emirati developer. Construction on Aljada began in April, and the entire project is scheduled for completion in 2025, it added. The partnership will see AUS undergraduate architecture students and faculty design the Aljada Pavilion, a structure located in the focal point of Aljada, the Central Hub, the masterplan for which is being designed by Zaha Hadid Architects. The Aljada Pavilion, which is scheduled to open in September next year following the year-long course at AUS’ College of Architecture, Art and Design (CAAD), will constitute a space for the public to gather in and around and will be architecturally innovative in its design, said a statement from Arada. It will form part of the Phase One of the 1.9 million sq ft Central Hub, a new leisure and entertainment destination for the UAE. The distinctive design of the futuristic complex conceptualises the first moment a water droplet strikes the earth's surface, captured in an array of elliptical buildings, it stated. The Arada partnership will provide AUS architecture students with a unique opportunity to engage in a design project from concept to completion. It will also offer students an invaluable learning experience into various areas of architectural practice, including design development, coordination with consultants, project management and contract administration during the construction process, it added. 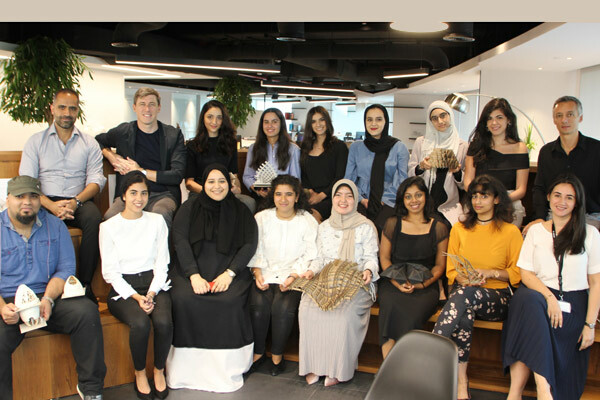 As part of the design process, a design studio of senior architecture AUS students visited the Arada headquarters in Dubai Festival City on September 30 to present their research, concepts and prototypes. They were accompanied by Associate Professor Jason Carlow from the College of Architecture, Art and Design, who is coordinating the partnership with Arada, it stated. Melissa Bayik, the head of brand, Arada, introduced the company’s approach to development, and its commitment to architectural excellence, while Damiano Rizzini, an associate at Zaha Hadid Architects, explained the concept development and architectural processes behind Aljada’s Central Hub. Professor Carlow, while introducing the theme for the project, said: "We focused on studying and transforming performative aspects of the vernacular architecture of the Middle East. We then considered how these aspects could be interpreted as digitally designed and materially provocative constructions." Elie Mrad, the head of Architecture and Design, Arada, assisted Rizzini and Professor Carlow with reviewing student progress so far, and provided the AUS undergraduates with constructive critique and new ideas. "We believe the day was a great success, and the level of debate left everyone happy about the results this partnership between Arada and AUS can bring. Zaha Hadid Architects were impressed with the material presented to them, and the students were enthusiastic and committed," remarked Bayik. "We are extremely proud to be able to facilitate these discussions and invest in architectural excellence in the Middle East through such a strong institution," she stated. Prof Carlow said: "The Aljada Pavilion project creates a unique, project-based learning experience which encourages students to address the challenges and constraints of an actual project through creativity and critical thinking." "Unveiled in September 2017 by HH Sheikh Dr Sultan bin Muhammad Al Qasimi, Supreme Council Member and Ruler of Sharjah, Aljada is the emirate’s largest mixed-use megaproject," he added.